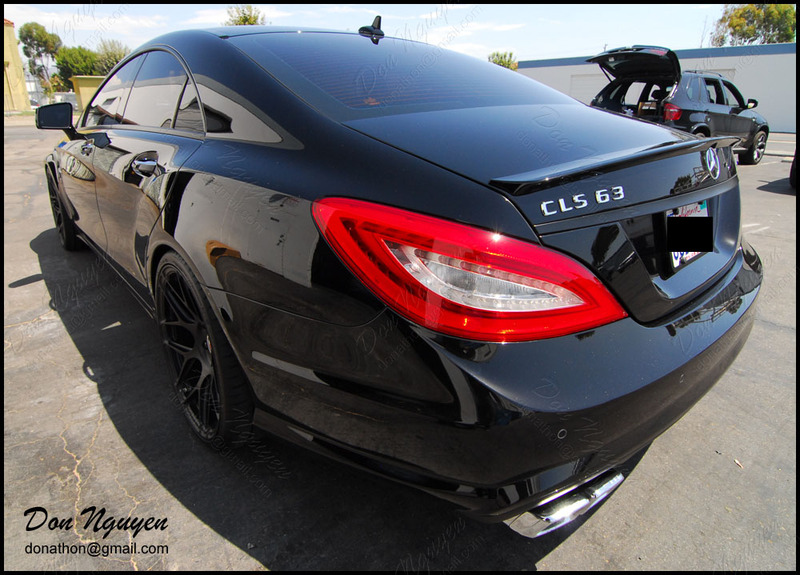 The owner of this car was also in Orange County and brought me by his CLS63 to have me lightly tint / smoke the clear section of the tail lights. I had previous blacked out his chrome / brushed aluminum window trim in matte black, which you can kind of see in the corner pictures and on the rear trunk handle piece. Even though this car was fairly blacked out, we only tinted the clear portion of the tail lights instead of the whole thing, which gave it a nice subtle touch. For comparison, if you look in the background, my X5's tail lights are completely tinted with the same shade/material.